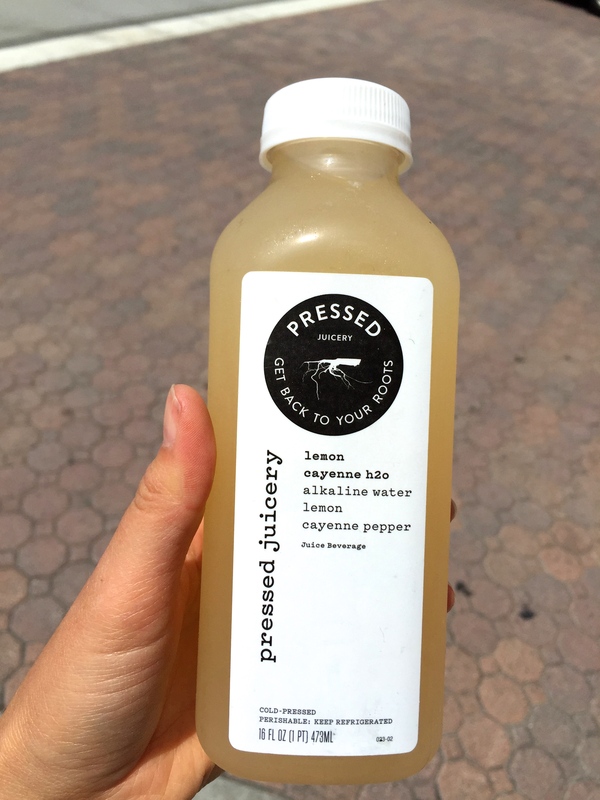 I learned about juicing from working at Pressed Juicery. You can never consume as much fruits and veggies as you can in a juice. Juicing extracts the insoluble fiber allowing your body to absorb the nutrients fast and effectively. However your body needs about 25-30 grams of fiber a day. Juices are a great supplement to your diet but I do not believe in juice cleanses. There is not enough protein and fiber to sustain you through the day. Even if you lose a couple of pounds, you will quickly re-gain it once the cleanse is over. Juice cleanses are too extreme to be effective over the long-term. Drink juices when you feel sick or want to get some extra vitamins in. Citrus 1 (aloe, coconut water, cucumber, lemon, pineapple): Very hydrating and refreshing. We call it our natural Gatorade. Citrus 2 (apple, lemon, mint, pineapple): One of our best sellers. Mint soothes the stomach. High in vitamin C.
Greens 3 (apple, ginger, lemon, and greens): Our best seller. You get the nutrients from the greens but the ginger and the apple makes it sweet. Activated Lavender Lemonade (lemon, honey, lavender, activated charcoal): Activated charcoal binds to your toxins and flushes them out. Drink after a night of overindulgence. Roots 2 (apple, carrot, ginger, kale, parsley, romaine, spinach): Creamy and smooth. If you mix it with our vanilla almond it taste like carrot cake! Apple Lemon Ginger Cayenne: Sweet and spicy. I recommend this if you are feeling sick. Combine with the cayenne water if you want an extra boost. 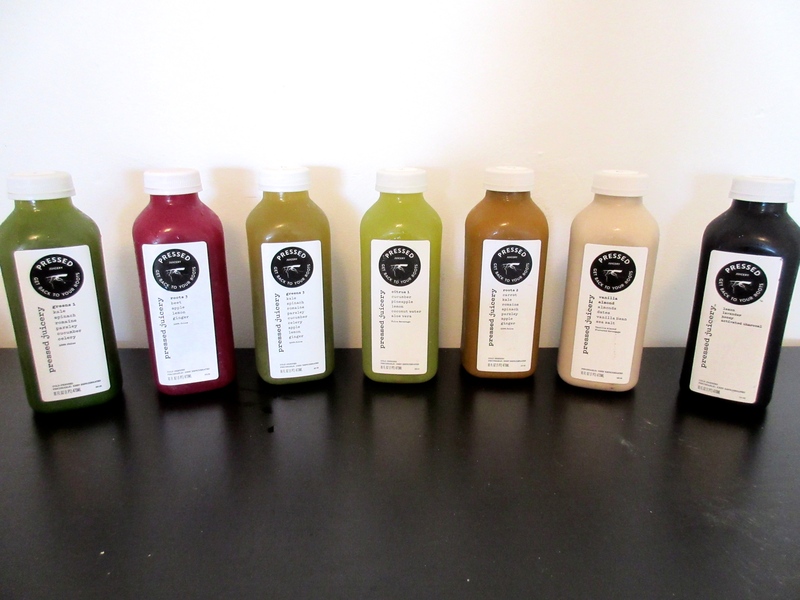 Read more about Pressed Juicery and juicing vs. blending.